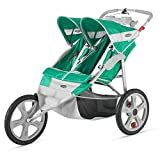 Meta description: If you want to take your baby out with you while you get some much needed exercise, check out how the Instep Double Jogging Stroller can make this possible. When you have two small kids instead of just one, it’s much better to use a double stroller instead of two single strollers. But what if you’re a regular jogger and you want to bring your kids when you go out for a jog? In that case, you need a double stroller especially designed for jogging. 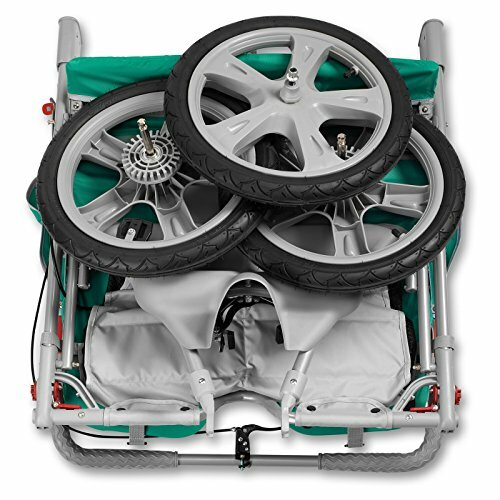 Instep offers several tandem strollers for this very purpose. Pacific Cycle, the maker of the Instep Double Tandem Jogging Stroller, is also the same company that brings you the Schwinn double jogging stroller. But you can also look over other popular brands, such as the Baby Trend Double Jogging Stroller. So how do you choose the most suitable buggy? Safety. Since this involves babies and jogging, obviously safety is going to be a high priority. Pacific Cycle actually recalled some of their strollers because a few owners have had some trouble with the swivel wheels accidentally coming off during a run. So the recall got rid of the convenient quick-release mechanism and replaced it with a locking mechanism that requires a 5mm Allen wrench. Ease of installation. It’s very rare to buy one of these things already assembled, especially when you buy them online. You’re going to have to put this together yourself, so it would be nice if the assembly process doesn’t require a degree in mechanical engineering plus expensive tools. Baby comfort. Here you need to take into account the amount of padding for the baby, plus size considerations and other accessories. It’s nice if the twin stroller comes with cup holders and trays for the baby. Also, it’s important that you have an adjustable canopy so that your babies don’t get too much sun. Ease of use. Just how easily can use this stroller? This takes into account several different factors, such as the presence of extra storage containers for your various baby accessories such as wipes and toys. The handle should be just right, and it should be easy to maneuver. Portability. This is all about its size and weight. It should be large enough for your babies and things, while it should also fit your car and various doors. It shouldn’t be too heavy for you to maneuver or lift. It should fold too, so you don’t need too much space for storage. Looks. We all want to look good, and more to the point our babies should look cute too. It really doesn’t look good when you use any ugly stroller, as it makes you seem like an unfit parent or something. Cost. Of course, any responsible parent will take this into account. But more importantly, you need to take a look at the overall value for money. In some cases, paying just a little bit more can get a lot more benefits. 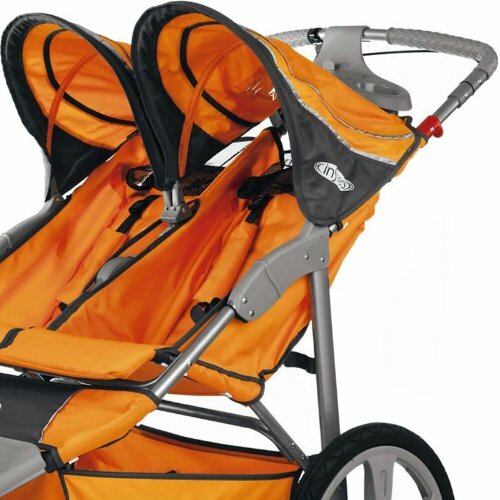 So with these factors in mind, let’s take a closer look at the Instep double jogging strollers. This is the entry-level double jogging stroller from Instep, and it gets the job done well enough. It comes in various colors, and it’s easy enough to assemble. It has a maximum weight limit of 100 pounds, and when assembled its LWH dimensions are 49” x 32.25” x 40”. It has a sun canopy that can be individually adjusted to 5 positions, and the front wheel can swivel or be manually locked into place. The handle is at 40 inches, and at the bottom you have a canvas container for various infant accessories. There are also child trays with dual cup holders. After the brouhaha over the recent recall, you can be quite sure that this is now quite safe. Everything’s been fixed, so you won’t have to worry anymore. It’s also very easy to assemble. Even the new locking mechanism for the front wheel comes with the 5mm Allen wrench you need. When you’re jogging with this, you can just lock the front wheel into place and you’re good to go. The cup holders and the storage compartment underneath are all very convenient. The 32.5-inch width is just small enough to fit most doors. Now if your budget allows you to spend just a few dollars more, then the more advanced Grand Safari is definitely an upgrade you have to consider. It comes with a few more colors, bit it has the same good looks as the entry-level Safari. And you also get several significant improvements. This time, the handle isn’t locked into place. If you’re not that tall, you can adjust it to a lower height to make it easier for you to use. Speaking of making it easier for you to use, this time the front wheel comes with remote locking, so you don’t have to crouch down and lock it manually. That’s quite convenient for you, so when you’re done with your jogging you can take a leisurely stroll and adjust the front wheel to enable the swivel. If your road surface isn’t perfectly smooth, then jogging with babies in a stroller can be a bumpy ride for the little ones. But this time, you get spring shock absorbers so the infants get a smoother ride. You also get music too. It’s not really advisable to wear ear buds when you’re jogging, since you may not hear the approach of vehicles. But if you want music, then you can use your MP3 player or smartphone with the built-in speakers mounted on the canopy. The fleece seat pad in the stroller is also removable and machine washable, which makes the maintenance so much easier for you. Essentially, the Instep double jogging strollers combine an affordable price with good looks, safety, and convenience. All these features help explain the brand’s enduring popularity.